Student-Loan Default Rates Go Down As Enrollment in Income-Driven Repayment Plans Goes Up:" It Hurts So Much To Face Reality"
Earlier in the week, the Department of Education issued a press release that contains good news about the student loan program. Or does it? DOE reported that enrollment is increasing in the Department's various income-driven repayment plans (IDRs), including PAYE, REPAYS and six other income-based student loan repayment programs. About 5 million are now enrolled in IDRs, up 117 percent from March of 2014. As of March 31, 2016, about 350,000 [Direct Loan] recipients were deferring their payments due to unemployment or economic hardship, a 28.6 percent decrease from the prior year. In that same time period, there was a 36.6 percent decrease in the number of FFEL recipients in a deferment status due to unemployment or economic hardship. DOE also reported that delinquency rates are down 10.6 percent from last year, and student-loan default rates are also down. Is this good news? Yes and no. Obviously, a trend toward fewer economic-hardship deferments, fewer student-loan defaults, and fewer lower delinquencies is a good thing. It is especially heartening to see a decline in the number of people who have loans in deferment, because these people see their loan balances go up due to accruing interest during the time they aren't making loan payments. But this good news comes at a cost. DOE's report is a clear indication that more and more people are signing up for long-term income-based repayment plans that stretch out their repayment period for as long as 20 to 25 years. According to DOE, five million people are in IDRs now, and DOE hopes to enroll 2 million more by the end of 2017. Clearly, long-term repayment plans has become DOE's number one strategy for dealing with rising student-debt loads. What's wrong with IDRs? Four things. Growing Loan Balances. First, as I have said many times, most people in IDRs are making payments based on a percentage of their income, not the amount of their debt; and most people's payments are not large enough to cover accruing interest on their loan balances. Thus, for almost everyone in a 20- or a 25-year repayment plan, loan balances are going up, not down. Reduced Incentives for Colleges to Rein in Tuition Costs. As more and more borrowers elect to join IDRs, the colleges know that tuition prices becomes less important to students.Whether students borrow $25,000 to attend college or $50,000, their payment will be the same. In fact, some IDRs actually may act as an inverse incentive for students to obtain more postsecondary education than they need. I have several doctoral students who are collecting multiple graduate degrees. I suspect they are enrolled in the 10-year public-service loan forgiveness plan, the government's most generous IDR. Since monthly loan payments are based on income and not the amount borrowed, I think some people have figured out that it makes economic sense to prolong their studies. Psychological Costs of Long-Term Repayment Plans. Third, there are psychological costs when people sign up for repayment plans that can stretch over a quarter of a century, a cost that some bankruptcy courts have noted. And these psychological costs are undoubtedly higher for people who sign up for IDRs in mid-life. Brenda Butler, for example, who lost her adversary proceeding in January of this year, signed up for a 25-year income-based repayment plan when she was in her early 40s, after struggling to pay back her student loans for 20 years. As the court noted in Butler's case, her loan obligations will cease in 2037--42 years after she graduated from college. That's got to be depressing. A Drag on Consumer Spending. Finally, people who are making loan payments for 20 years have less disposable income to buy a home or a car, to marry, to have children, and to save for their retirement. In fact, in the Abney case decided in late 2015, a bankruptcy court in Missouri rejected DOE's argument that a 44-year old truck driver should enter a long-term repayment plan to service loans he took out years ago for a college education he never completed. 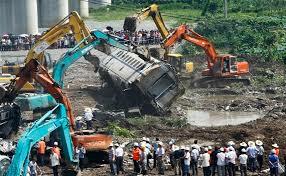 As the court pointed out, Mr. Abney was a truck driver who was not likely to see his income increase markedly. Forcing him into a long-term repayment plan would diminish his ability to save for retirement or even to buy a car. "It Hurts So Much To Face Reality"
As Robert Duvall sang in the movie Tender Mercies (the best contemporary western movie of all time), "it hurts so much to face reality." Without a doubt, DOE is refusing to face reality by huckstering college-loan debtors into long-term student-loan repayment plans. DOE has adopted this strategy to keep student-loan defaults down, but IDRs do not relieve the burden of indebtendess for millions of student borrowers. Lowering monthly loan payments by stretching out the repayent period makes rising tuition more palatable, but it does nothing to check the rising cost of a college education--which has spun out of control. In short, IDRs are creating a modern class of sharecroppers, whereby millions of people pay a percentage of their incomes over the majority of their working lives for the privilege of getting a crummy education from a college or university that has no incentive to keep tuition costs within the bounds of reason. "It hurts so much to face reality." 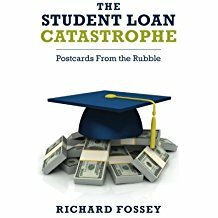 The Student-Loan Bubble: Will the rising level of student-loan indebtedness lead to a national economic catastrophe? In recent years, I have heard speculation that the federal student-loan program is similar to the real estate bubble that developed in the early years of this century and which ultimately led to the national financial meltdown of 2008. Does the student loan program have the potential for running our economy into the ditch? I once discounted this notion. After all, the home-mortgage crisis involved a lot more money than the federal student-loan program. It is true that Americans now owe about $1.3 trillion in student loans, which is not chicken feed. But compared to the national debt--about $19 trillion--the student-loan program doesn't seem like a big deal. After all, the government's quantitative easing program involved the creation of $1 trillion a year when it was in full swing. Enormous growth in student-loan debt. First of all, total student-loan indebtedness has grown enormously over the past 10 years. According to a recent report by the Federal Reserve Bank of New York, total outstanding indebtedness grew from around $400 billion in 2007 to more than $1.2 trillion in 2015. In other words, total indebtedness tripled in less than 10 years. Indeed, as has been widely reported, student loans now comprise the second largest category of consumer debt, surpassed only by home mortgages. Student -loan indebtedness is now larger than both automobile loans and credit card debt. More student-loan debtors. Second, the total amount of student-loan borrowers keeps growing--43 million people now have outstanding student loans. That's almost 18 percent of the nation's adult population. In fact, as the Brookings Institute reported, 5-year default rates are 28 percent. In the for-profit sector, the five-year default rates is an eye-popping 47 percent! Given the catastrophic consequences of default, it is astonishing that almost half the people who attend for-profit colleges eventually default on their loans. Discounted tuition rates. Finally, private colleges are discounting their tuition rates more and more, an indication that American families simply refuse to pay the sticker price for a college education. According to an article in Inside Higher Ed, private colleges are now discounting tuition for freshman students by an average of 48 percent! Obviously, the federal government can't go on forever lending ever larger quantities of money and expecting students to passively take out larger and larger loans for the privilege of going to college. So yes, there is a student-loan bubble; and the bubble is going to burst. When? I don't know, but I think we will see growing turmoil in the for-profit-college industry and the private-college sector. Within five years, we will see a significant number of non-elite private colleges bite the dust. And we will see increasing pressure on the for-profit colleges. But when the bubble bursts, I don't think we will witness a spectacular meltdown in the economy that we saw in 2008. To borrow a phrase from T. S. Eliot, the federal student loan program is not going to explode with a bang, but with a whimper. And the people who will be whimpering most are the millions of people--probably 20 million--who simply cannot pay back their student loans and who cannot discharge them in bankruptcy. 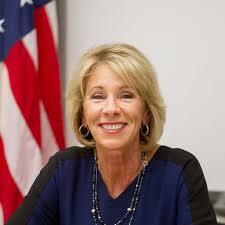 In my opinion, everyone in the higher education industry should be praying for more compassionate bankruptcy judges who are willing to discharge billions of dollars in student-loan debt and give millions of distressed borrowers a fresh start. If distressed student-loan borrowers don't obtain some form of tangible relief, we are going to see a shrinking middle class and a class of lifetime student-loan debtors who have been pushed to the sidelines of the national economy by student loan debt from which they cannot shake free. In other words, as I have said before, we are hurdling hell-bent toward a sharecropper economy. Last September, the Department of Education announced three-year default rates for the most recent cohort of student-loan borrowers. According to DOE, three-year default rates went down dramatically over a two-year period. The overall student-loan default rate for the FY 2012 cohort of borrowers was 11.8 percent, significantly lower than the FY 2010 cohort default rate, which was 14.7 percent. Indeed, the for-profit sector saw a spectacular drop in three-year student-loan default rates--from 21.8 percent for the FY 2010 cohort down to 15.8 percent--a 25 percent drop. Amazing! But of course DOE's three-year default rates are meaningless, particularly for the for-profit schools. The for-profits have kept their three-year student-loan default rates down by aggressively encouraging their former students to obtain economic-hardship deferments, which keep borrowers off the default roles even though they are not making loan payments. When we look at the 5-year default rate across all sectors, the default rate is twice as high as the three-year rate. Twenty-eight percent of student borrowers defaulted on their loans within five years of beginning repayment, compared to DOE's 11.8 percent three-year rate. In other words, more than one out of four postsecondary students default on their student loans within five years. In fact, the student-loan default rate and nonpayment rate for the for-profit sector are truly alarming. Forty-seven percent of for-profit students default on their loans within five years. Although the for-profit sector has the highest default rates, many public colleges also have shocking numbers. 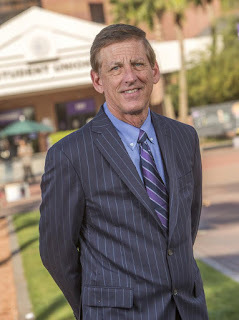 Kevin Carey of the New York Times examined the percentage of students who had paid nothing on the principal of their loans after five years and discovered that the nonpayment rate at several public universities is 20 percent or more: University of Houston, University of Cincinnati, and the University of Louisville among them. At the University of Memphis, Carey reported, 35 percent of former students in a recent cohort had not paid back a dime on their loans five years after entering repayment. Historically black colleges and universities (HBCUs) have very high student-loan nonrepayment rates. "Of the 25 private colleges with the worst nonrepayment rates, 22 are historically black," Carey wrote. Lane College, a HBCU located in Tennessee, had a five-year student nonrepayment rate of 78.2 percent. No one who contemplates these numbers can reach any other conclusion other than this: the federal student-loan program is a catastrophe. And, although millions of people have improved their lives by borrowing money to obtain postsecondary education, millions more have been ruined. Who has been hurt the most by the federal student loan program? People who started postsecondary programs and didn't finish them. The media has reported widely that Americans are carrying $1.3 trillion in outstanding student-loan debt. But this underestimates the reality. This number does not include accumulated interest, loans from private banks, and credit-card debt that students run up while they are in college. Accumulated indebtedness associated with postsecondary education is at least $1.5 trillion. That's $1.5 trillion dollars in debt carried by just16 percent of the American adult population--the 16 percent least able to bear the burden. And because the consequences of default are so draconian, this significant percentage of Americans is greatly suffering. And what is the higher education community's solution to this calamity? Long-term income-based repayment plans that will keep borrowers indebted for the majority of their working lives! If the federal government had devised a plan to intentionally destroy higher education, shrink the middle class and cripple our economy, it could not have invented a better plan than this. Let's give the New York Times credit: it is on the right side of the argument regarding the federal student loan program. The Times editorializes repeatedly about the plight of people who cannot pay back their college loans. The newspaper has published several fine news articles about individuals who are overwhelmed by student-loan debt. And again and again, the Times editorial writers demand action by the federal government to bring relief to desperate student-loan borrowers. Unfortunately, the Times does not grasp this simple fact: True relief for student-loan debtors will require radical action, far more radical than the Times is willing to contemplate. 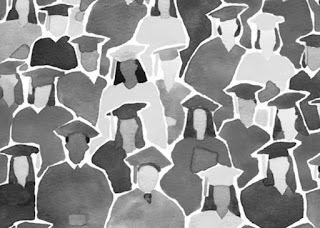 Last Sunday, a Times editorial addressed the issue of fraud in the for-profit college sector. As the Times pointed out, "The federal government's decades-long failure to curb predatory behavior in the for-profit college industry has left untold numbers of Americans with crushing debt while providing useless degrees--or no degrees at all--in return." The Times then went on to praise the Obama administration for creating new oversight rules for the for-profit college industry. And the Times expressed approval of the Department of Education's decision to forgive the student-loan indebtedness of some individuals who attended Corinthian Colleges (about 3,000 people so far). But, as the Times pointed out, DOE has yet to grant relief to any of the 4,000 people who claim they were defrauded by Corinthian and have asked to have their student-loans forgiven. The Times expressed the fear that DOE's "legendary bureaucracy will drag its feet and make it difficult for deserving plaintiffs to get relief." And the Times ended its rather tepid editorial by stating vaguely that "the department needs to do a much better job of reaching out to people who have potential [fraud] claims." The Times editorial is on the right track; obviously DOE needs to speed up the process of reviewing fraud claims by students who attended for-profit colleges. But I don't think the Times recognizes the enormity of the student-loan problem in the for-profit college sector. A recent study by the Brookings Institution reported that there are almost 1.2 million people who attended the University of Phoenix who have more than $35 billion in outstanding student loans. According to the Brookings study, 45 percent of a recent cohort of former University of Phoenix students defaulted on their loans within five years. More alarmingly, for the for-profit sector as a whole, nearly three quarters of students who attended for-profit schools (74 percent) owed more than they originally borrowed two years after beginning repayment (for the 2009 cohort). And nearly half the students who attended for-profit schools (47 percent) defaulted within five years of beginning repayment. And Brookings default data did not take into account the fact that many former students have obtained economic-hardship deferments and are not making their student-loan payments. Those people are not counted as defaulters even though they are not paying down their loans. For-profit colleges are encouraging their former students to sign up for economic-hardship deferments as a strategy for keeping their institutional default rates down. Tragically, most of the people who obtain economic-hardship deferments receive only phantom relief because the interest continues to accrue on their unpaid debt. When those economic-hardship deferments come to an end, the people who held them will find that the principal of their loans went up during the deferment period. IN SHORT, IT IS INDISPUTABLE THAT HALF OF THE PEOPLE WHO TOOK OUT STUDENT LOANS TO ATTEND FOR-PROFIT COLLEGES WILL DEFAULT AT SOME POINT IN THE LOAN REPAYMENT PERIOD. In other words, about half of the federal student-aid money flowing into for-profit colleges will never be paid back. If the Times grasped the magnitude of the student-loan crisis in the for-profit college sector it would surely recommend more aggressive action by the Feds. What is needed is not a more streamlined fraud review process (as the Times recommended), but something close to blanket amnesty for at least half of the people who borrowed money to attend for-profit colleges. Put another way, DOE needs to craft a secular version of Pope Francis's "Year of Mercy," whereby millions of people who attended for-profit colleges can have their loans forgiven with little or no red tape. Obviously some case-by-case review needs to occur to make sure student loans aren't forgiven for students who got good value from attending for-profit colleges and can afford to pay back their loans. But--based on the default rates--a majority of the people who attended for-profit colleges should have their loans forgiven. What is the best process for sorting through this mess? Bankruptcy. Student-loan defaulters who attended for-profit institutions should have their loans forgiven by bankruptcy courts without the necessity of adversary hearings. If a bankruptcy court concludes that a student-loan debtor is insolvent, that person's loans should be forgiven unless the government can show fraud or bad faith. But the burden should be on the government to show that an insolvent student-loan debtor who attended a for-profit college is not entitled to bankruptcy relief--not on the debtor. Obviously, I have painted an ugly picture: massive student-loan forgiveness and default on billions and billions of dollars in student-loan debt. But most of the defaulters who attended for-profit colleges will never pay their loans back, whether or not their loans are forgiven. It is time to wipe the slate clean. The for-profit college industry should be shut down and the people who were injured by it deserve a fresh start. We can take action now or we can take action later. But eventually, the federal government will have to face facts: the for-profit colleges are a rogue industry and have ruined the economic prospects of millions of people. Speedy Help for Victims of College Fraud. New York Times, September 27, 2015, Times Review Section, p. 10.